You are currently browsing the tag archive for the ‘Terry Boyarsky’ tag. 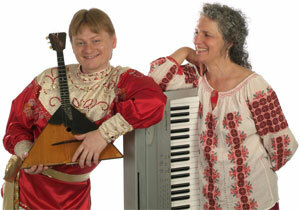 On Sunday, June 9 beginning at 6:30 pm at the Happy Days Lodge in Cuyahoga Valley National Park, Music By Nature presents Russian Duo, Oleg Kruglyakov, balalaika & Terry Boyarsky, piano in a concert featuring Russian, classical, Soviet & folk music. As always, Music By Nature audiences are invited to picnic on the grounds beginning at 5 pm, and a dessert reception follows the performance.